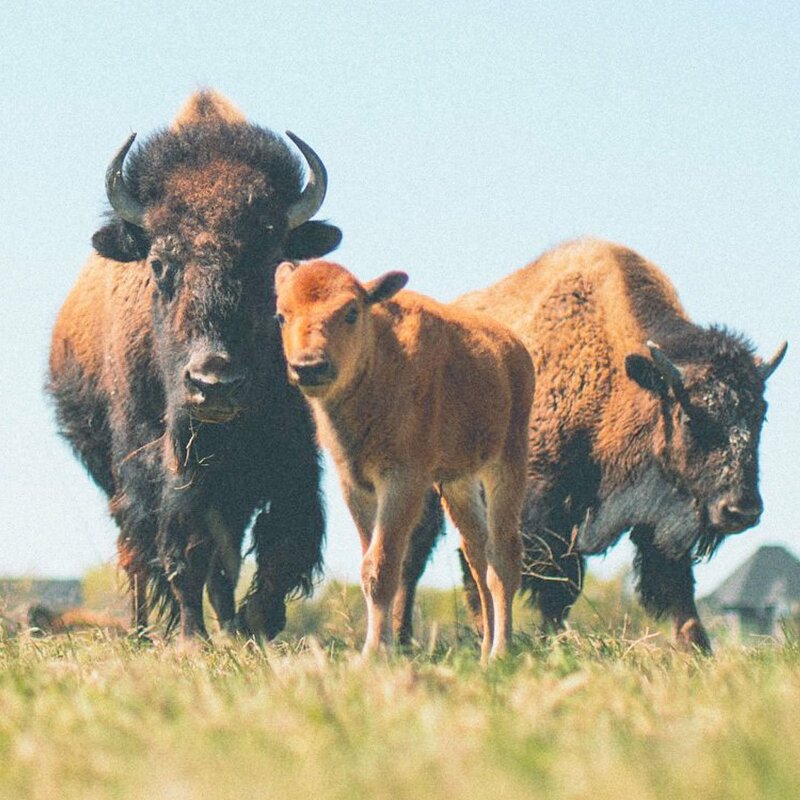 Venture inside FortWhyte Alive’s bison prairie for an up-close encounter you’ve got to see to believe. See North America’s largest land mammal from just meters away, interacting in their natural habitat. These striking prairie beasts are stoic, hairy, and huge! Go on an adventure into our prairie past this summer, and leave knowing more about how bison have shaped Canada’s history. End your tour with lunch at the Buffalo Stone Café, a full visit to FortWhyte Alive, or see what else is on! Register online by visiting store.fortwhyte.org or by phone at (204) 989-8355. Safaris sell out weeks in advance and we strongly encourage making reservations to avoid disappointment. May & June – Thursdays at 1:30 pm - Registration now open! See North America’s largest land mammal from just meters away, interacting in their natural habitat. Go on an adventure into our prairie past, and leave knowing more about how bison have shaped Canada’s history. Bison Safaris sell out weeks in advance and we strongly encourage making reservations to avoid disappointment. Please note that this experience at FortWhyte Alive is non-refundable, unless cancelled by FortWhyte due to inclement weather or ground conditions. To extend your visit to see and explore more of the FortWhyte Alive, general admission still applies, and is not included in this registration. Bus does not accommodate wheelchairs; passengers must be able board the bus independently. Bison Safaris are weather and ground conditions-dependent; tours may be cancelled or postponed. Create the ultimate experience for your family or group. Private bookings are available with a minimum of 10 participants (minimum fee $160, regular seat pricing in effect). Please call (204) 989-8355 ext. 204 or email dforster@fortwhyte.org to inquire. For a deeper dive into our shared prairie history, you might also be interested in our Canadian Tourism Signature Experience A Prairie Legacy: The Bison and Its People. 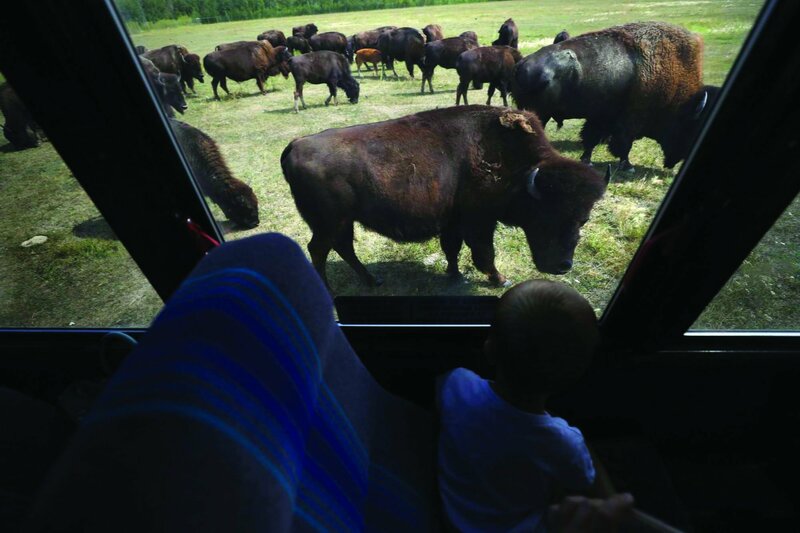 This signature tour combines the popular Bison Safari experience with the sights, sounds, smells and tastes of our shared prairie history – leaving you with an one-of-a-kind experience you won’t soon forget. Perhaps you have an alternative date in mind, and are looking to create the ultimate experience for your family or group. Private bookings are available with a minimum of 10 participants (minimum fee $160, regular seat pricing in effect). Please call (204) 989-8355 ext. 204 or email bookings@fortwhyte.org to inquire. Suggested activity for all ages. Please see the Family Safari for a tour the kiddos are sure to enjoy.